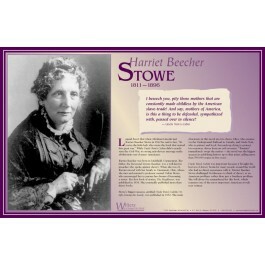 Harriet Beecher Stowe wrote one of the most influential and important American books in publishing history. "Uncle Tom's Cabin" brought the horrors of slavery to the attention of the world and became a huge publishing success. While it may not have started the Civil War, her novel made abolitionists out of many Americans. 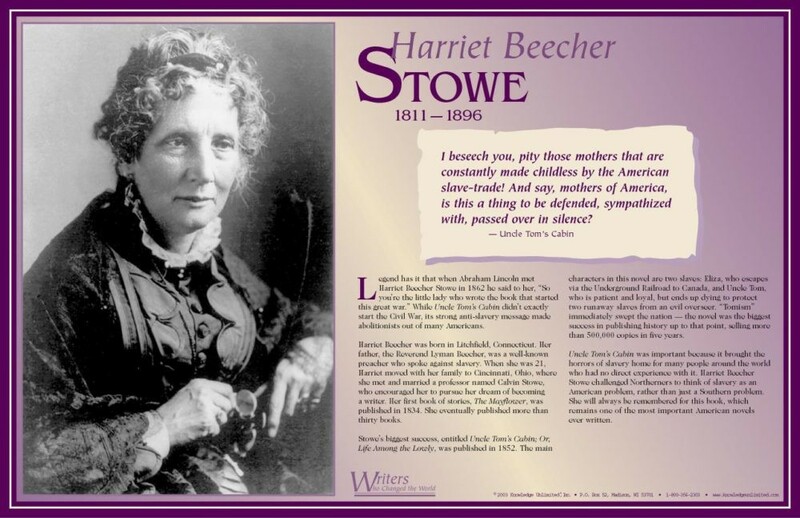 This unique poster of Harriet Beecher Stowe features a photo of her, along with a brief bio, and a quote from "Uncle Tom's Cabin."